Not only BiblioPera brings those multilingual collections together, but also, it aims at promoting historical, archaeological, and social scientific research on Turkey, and providing a unique virtual environment for scholars, research center staff, and librarians to share ideas, experiences, and collaborate on new projects, for scientific and cultural production. 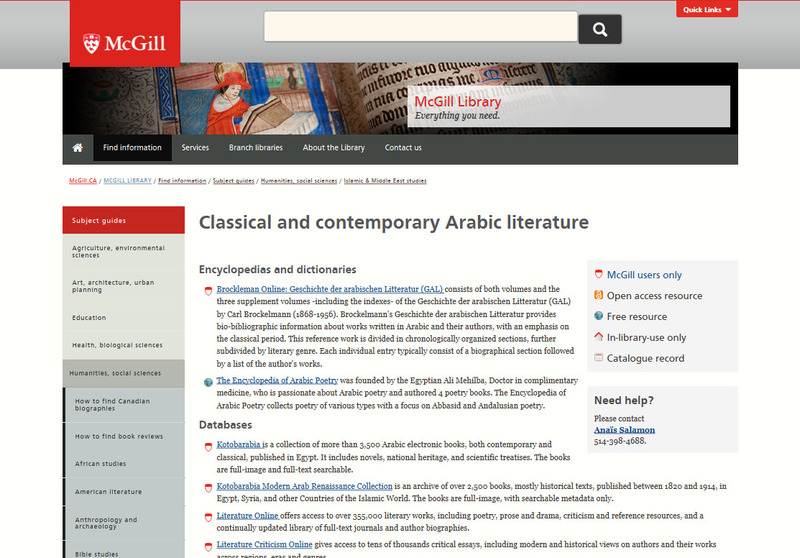 BiblioPera allows to search more than 500,000 print materials, by title, author, subject, publisher, keyword and ISBN. Results can further be refined by library, language, and year of publication. The website interface is available in Turkish and English. How to finds thesis & dissertations? Finding thesis and dissertations can be challenging. This post provides information on how to do so. The ProQuest Dissertations and Theses Full Text database includes millions of citations to thesis and dissertations from all around the world (1861 to present), more than a million full text dissertations, and over 2.1 million titles available for purchase. Last, the Directory of Open Access Repositories, an authoritative directory of academic open access repositories, maintains a list of OA repositories by country and organization which is incredibly handful to find full text thesis and dissertations from all over the world. Over the Summer (2016), the Islamic Studies Library is reviewing, and updating, all of the Islamic and Middle East studies subject guides, in the hope to have fully functional, relevant, and easy to navigate subject guides for the new academic year. We would love if some of you were to get involved: have a look at the guides, and let us know what you think! We’ll be happy to hear any suggestions or comments you may have! In recent news, the Canadian Tri-Agencies granting programs have introduced a new policy for researchers: Open Access. What does this mean for you? 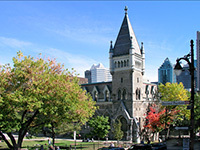 McGill Library has created a FAQ section to help with the details of the implementation and meaning of this change in policy. The policy, it should be noted is effective 15 May 2015. Below is the official announcement. Online Repositories: Grant recipients can deposit their final, peer-reviewed manuscript into an institutional or disciplinary repository that will make the manuscript freely accessible within 12 months of publication. Open Access (OA) Journals: Grant recipients can publish in an open access journal. For journals that use Article Processing Charges (APCs) as a means to fund open access, these APCs are allowable expenses for Tri-Agency grants. For the fields of Islamic and Middle East Studies there are many different OA journals already available whose publishing agreements comply with this new Tri-agencies policy. One source, in particular for OA journals pertaining to Islamic and Middle East Studies is AMIR (Access to Mideast and Islamic Resources). 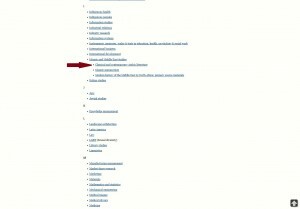 It provides a complete list of all Open Access journals pertaining to these fields of inquiry. Remember also to be aware of predatory OA journals. These journals can be quite convincing and aggressive in striving to obtain your manuscript. If you have any doubt, Jeffrey Beall of the University of Colorado maintains an impressive blog on known predatory journals. On the same blog, he also lists questionable publishers. The Islamic Studies Library launched a new subject guide focusing on Classical and contemporary Arabic literature. This selection of sources comprises encyclopedias and dictionnaries, databases, journals (print and electronic), and internet sites. Ever wondered what are the laws and rules relating to copyright in Canada? Do you know what copyright covers? Are you always sure you can use, or reproduce a work? I’ve recently updated both the Islamic Studies and Middle East subject guides with new information and resources. The Islamic Studies guide now includes General sourcebooks and introductions source list for quick consultation. 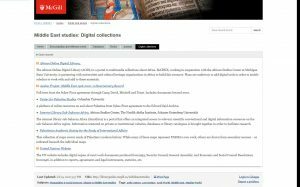 Also, we have recently acquired Oxford Bibliographies Online Islamic Studies which will soon be available via McGill’s catalogue. Are you looking for quiet place to study? 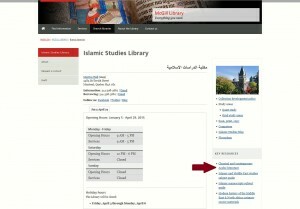 Well, you may want to check out the Islamic Study Library which is opened from 9 am to 10pm Monday to Friday!